THE FALLEN WITHIN is an Athens based band, created in 2003 by the guitarist Gio S.
The group belongs to the general style of metal influenced mainly by the American metalcore and Scandinavian melodic scene, having also experimental, progressive and many other elements. The band made the first effort in November of 2003 when they recorded their first demo cd which was called "The Conqueror Worm" included 2 songs. One of them (Fossilized) had taken part in "Metal Ostentation Vol.8" compilation which had been released by Enclave Records. 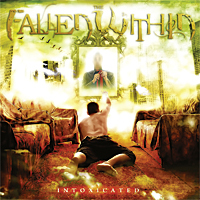 After several lineup changes and other obligations THE FALLEN WITHIN finally began to record their debut full-length album at Sound Symmetry Studio between October and December 2008 and then they mixed and mastered it at Tico Tico Studio in Finland in January 2009! responsible for the mix and mastering of the album. 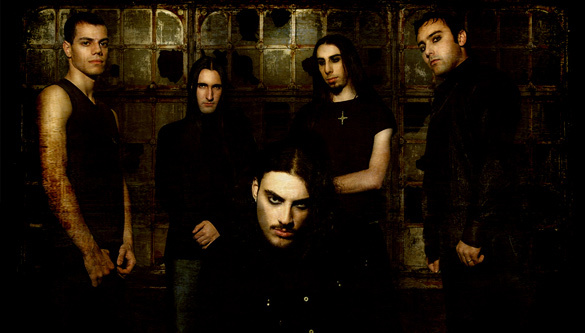 WITHIN received several offers from labels but finally they ended in July 2009 to the italian CORONER RECORDS. Their debut album of 10 tracks which is called "Intoxicated" has been released in December of 2009.